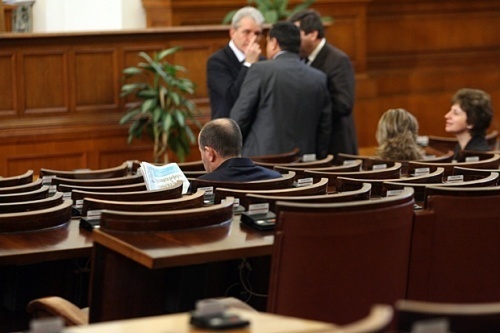 Bulgarians will elect this summer 31 MPs individually and another 209 as part of political party lists under amendments, which parliament adopted on Monday. The last-minute changes to the Election of National Representatives Act were voted 128-85, with 15 abstentions after six hours of debates. The mixed system introduced for the upcoming parliamentary elections is a break from the tradition of the proportional representation system. The amendments were approved with the votes of the ruling Bulgarian Socialist Party and their key coalition partner the ethnic Turkish Movement for Rights and Freedoms, the nationalist Ataka party and the newly formed parliamentary group of Order, Law and Justice. Parliament also voted 135-59, with two abstentions, to raise from 4% to 8% the threshold for coalitions of parties to win seats in parliament. The threshold for an individual party to enter parliament stays unchanged at 4%. The amendment triggered heated debates as it makes very tough the going for the right-wing parties, which recently pooled their forces ahead of the general elections in the summer in a bid to overcome the electoral threshold. A recent poll showed the coalition between the Union of Democratic Forces and Democrats for Strong Bulgaria would win 7.3 percent of the vote.